this morning began bright & early. 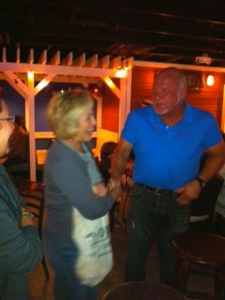 Sherri & I met Jan, & the 3 of us boarded our flight for Florida. 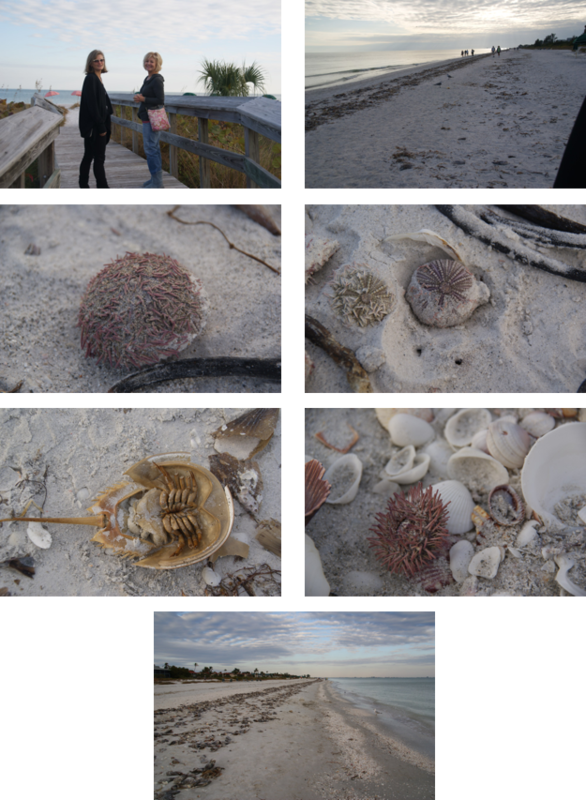 We landed mid-day, met up with Jill, rented a car & headed west to Sanibel Island. the island is 12 miles long & 3 miles wide...known for it’s shelling. we’re staying at the “Song of the Sea”....a quaint little hotel...more like a B&B...Sherri & I stayed here on a business trip 10 years ago & had loved it...so we’re back. 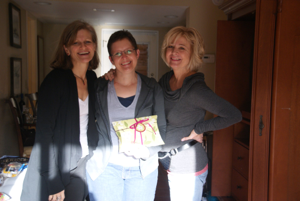 we started with a party...Jill had brought party favors, cake & presents! (Sherri got a wonderful treat too!) It’s been a fun birthday celebration which started last Wednesday with a surprise dinner out with Jan & Sherri...& just continued through today. we hadn’t eaten all day, so we were off to find some food. 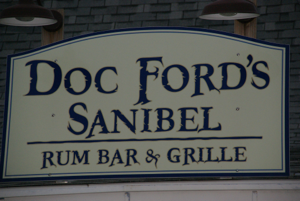 we’d asked the hotel manager for some suggestions & when I had mentioned that I had read a couple of books by a local author, Randy Wayne White, she told us that he owned a restaurant on the island called “Doc Fords”. since it was my birthday...they all just insisted that I choose the place...so we were off to Doc Fords . 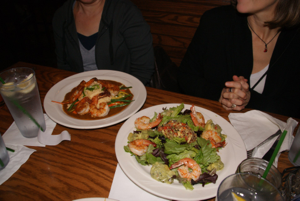 the place was casual & the food wonderful! after we finished eating....including splitting a piece of key lime pie, I went shopping at the front of the restaurant. so, while I was totally embarrassed, it was really fun to meet him AND...he was really super nice. he wrote a birthday note to me on one of his menus. we’re now tucked in our cool hotel room, visiting & laughing.....ready for sweet dreams. what a fun & special birthday!